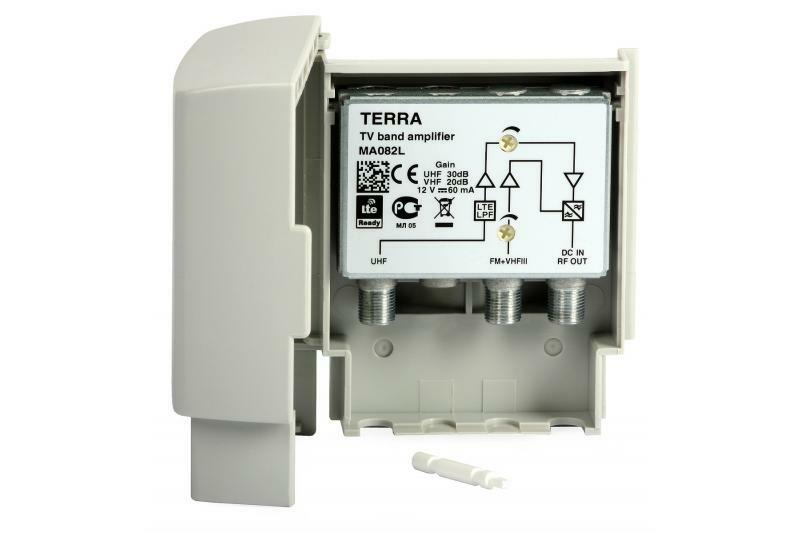 The Terra MA082L masthead amplifier is dedicated for outdoor applications in individual antenna installations and small MATV systems (without an additional launch amplifier - up to a dozen outlets). It has common FM (88-108 MHz) and VHFIII (174-230 MHz) input, and UHF (470-790 MHz) input. The maximum gain is 20 dB in the FM and VHFIII bands, and 30 dB in the UHF band. 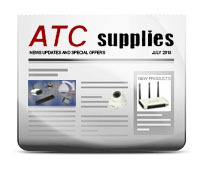 Thanks to built-in LTE filter (791- 862 MHz), the MA082L amplifier can be used in environments where LTE services cause problems with the reception of DVB-T broadcasts. The die-cast housing provides high screening efficiency by preventing the penetration of interfering signals into the device. The amplifier also features low noise levels. The MA082L amplifier can be powered from a typical AC/DC adapter (12VDC/100mA) or from a launch amplifier with 12 VDC power option for an preamplifier.